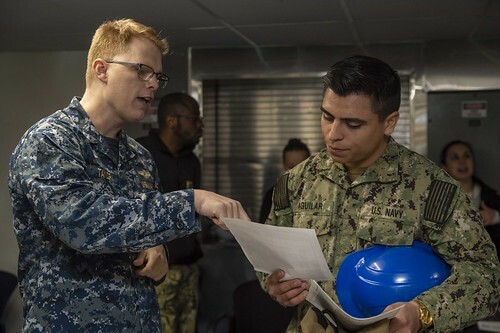 SAN DIEGO – Sailors assigned to the amphibious assault ship USS Bonhomme Richard (LHD 6) participated in a Rise Above initiative resource fair on the mess decks of a barge assigned to Bonhomme Richard, Feb. 20. The steady stream of stress factors Sailors face every day is daunting, and can sometimes seem overwhelming. 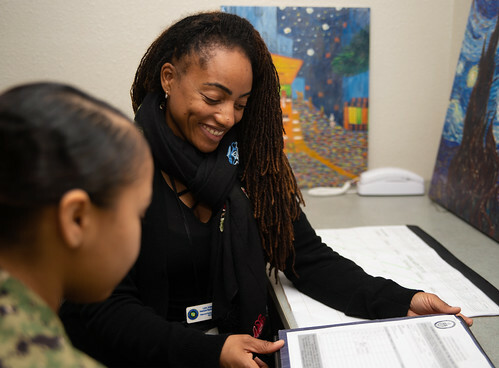 Fortunately, Sailors aboard the amphibious assault ship Bonhomme Richard have a new ally in the fight for mental wellbeing - the deployed resiliency counselor. 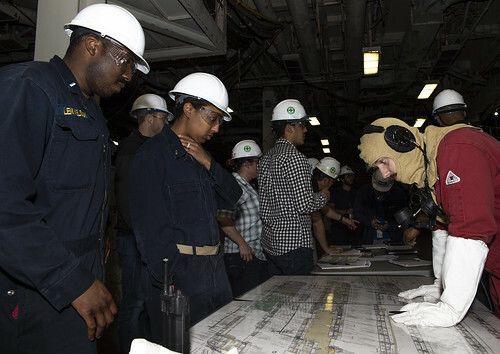 SAN FRANCISCO – Fellows from the Hoover Institute visited the amphibious assault ship USS Bonhomme Richard (LHD 6) for a ship tour and round-table discussion , Oct. 8. Sailors assigned to the amphibious assault ship USS Bonhomme Richard (LHD 6), participated in the 13th annual Honoring Our Heroes Veterans Day Parade hosted by Veterans Elementary School, Nov. 2.